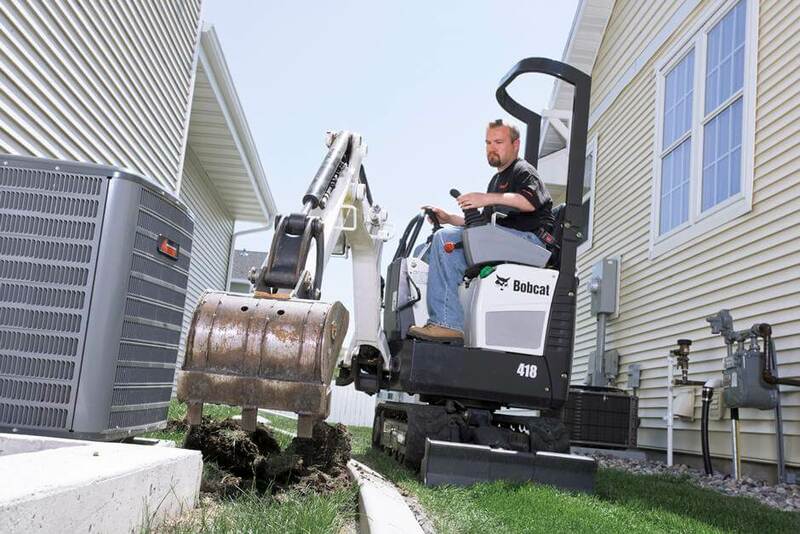 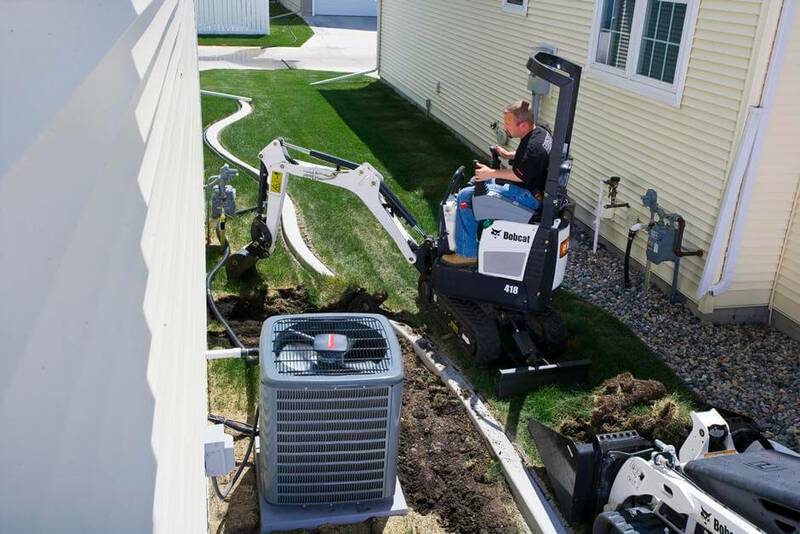 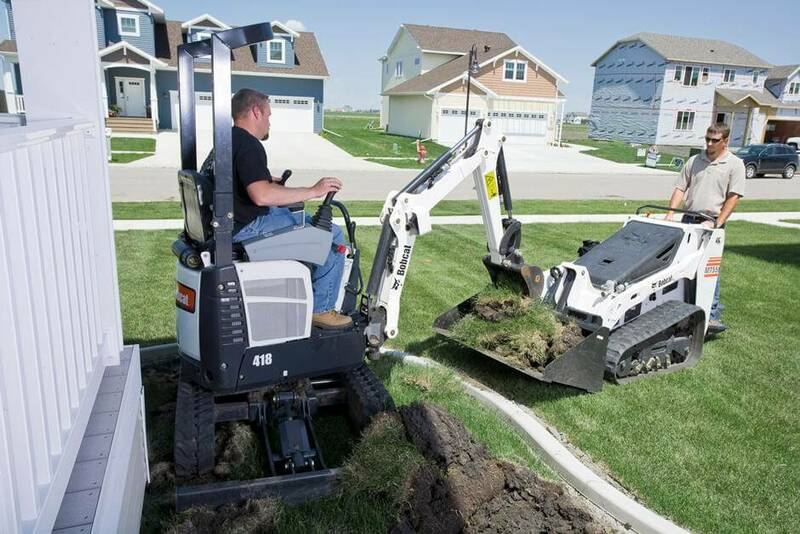 With a retracted track width of less than 29 inches, the ultra-compact Bobcat® 418 compact excavator (mini excavator) accesses jobsites where exhausting hand labor is your only other option. 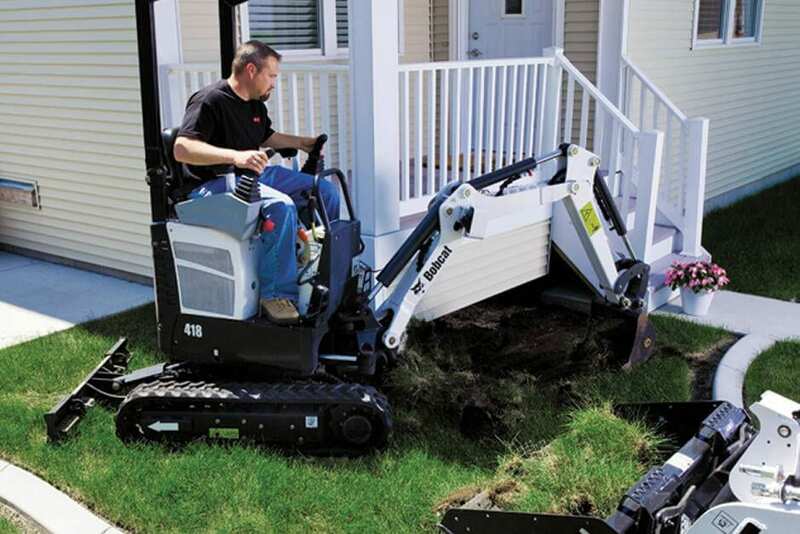 This Tier 4 model navigates through narrower openings and operates in tighter conditions. 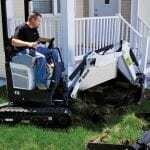 The Zero Tail Swing offers the greatest flexibility to slew and deposit spoil while offering the most protection against inadvertent contact with surrounding objects.